Your home should be an oasis away from the pressures of daily life. Our selection of relaxed styles of wool area rugs are the perfect foundation for creating a peaceful and low maintenance space. The most commonly used natural fiber in rug production. A fiber from the land, produced by the simple mix of fresh air, sunshine, grass and water. 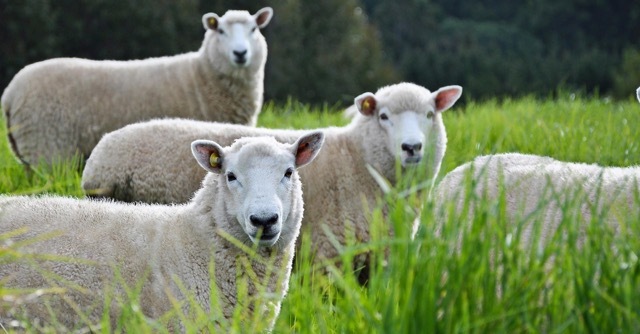 Wool is rapidly renewable, with a sheep growing a new fleece every year. This enthralling collection of Captivate area rugs from World of Rugs features daring, 3D-like designs, and captivating color palettes for an overall effect that is completely charismatic. Hand tufted from a sumptuous wool blend and woven with gently shimmering silk-like fibers, these radiant area rugs create an amazing sense of depth and texture. The Resonate collection is an elevated take on classic styling that's anything but ordinary. Superior craftsmanship in multi-dyed, hand-tufted wool in striking, tonal shades. The Dash Collection features a cross-tufted, loop and cut wool pile construction. This hand-tufted collection features 14 unique color combinations and extremely soft hand. The Terrain Collection features a 100% space-dyed wool pile and hand-loomed construction. The collection includes nine color offerings. The Pulse & Jolt Collections features a viscose cut pile and a wool loop pile construction. It is available in 7 colors. Pulse & Jolt have a soft hand and casual feel to complement any room.